Two of the most popular outdoor apparel brands are Patagonia and The North Face (TNF). These companies both produce high-quality clothing, like super warm insulated jackets, and each has their own loyal fan base that believes their choice of brand is the best Patagonia and TNF apparel is often pitted against each other since both companies have their own cult favorites among their customer base. 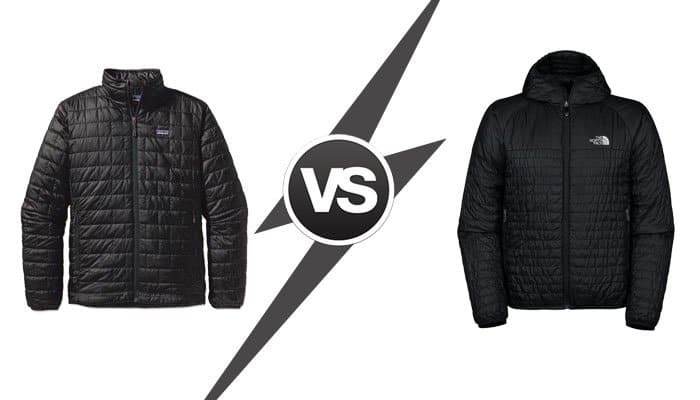 Two of the most popular jackets of these two brands is Patagonia’s Nano Puff and TNF’s ThermoBall insulated jackets. Both the Nano Puff and ThermoBall are excellent jackets all on their own – they are incredibly well-made, priced reasonably for the quality, and have hundreds of happy customer testimonials backing them. 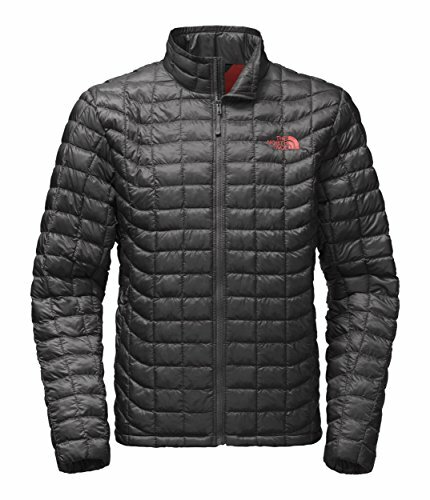 But if you’re stuck between the Nano Puff and ThermoBall but can only have one, it’s worth it to dive deeper and really see which jacket comes out on top in warmth, the most breathable fabric, and more. Both the Nano Puff and ThermoBall insulated jackets come in various jacket types as well as vests, or hooded jacket, but for the purposes of an even comparison, this review will focus on the basic full-zip standard Nano Puff and ThermoBall. Here is how the Nano Puff and ThermoBall insulated jackets stack up against each other. Bottom Line Up Front: To cut right to the chase, I find the Nano Puff insulated jacket to be a much better wear fit overall (and from a quick survey of my friends). If you need to make a quick decision, pick up the Nano Puff here as the better choice. Should You Buy the Nano Puff or the ThermoBall? Final Zip – Which to Choose? Thermoball versus Nano Puff? Patagonia’s Nano Puff is one of their most popular jackets and has even won an Editor’s Choice award for Climbing Magazine. 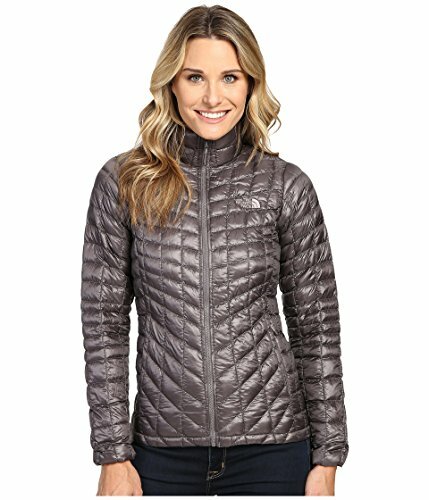 This is a fairly classic jacket, with an attractive quilted pattern and is available in both men’s and women’s styles. Customer’s love this jacket for its versatility, warmth and overall weather-proofness. 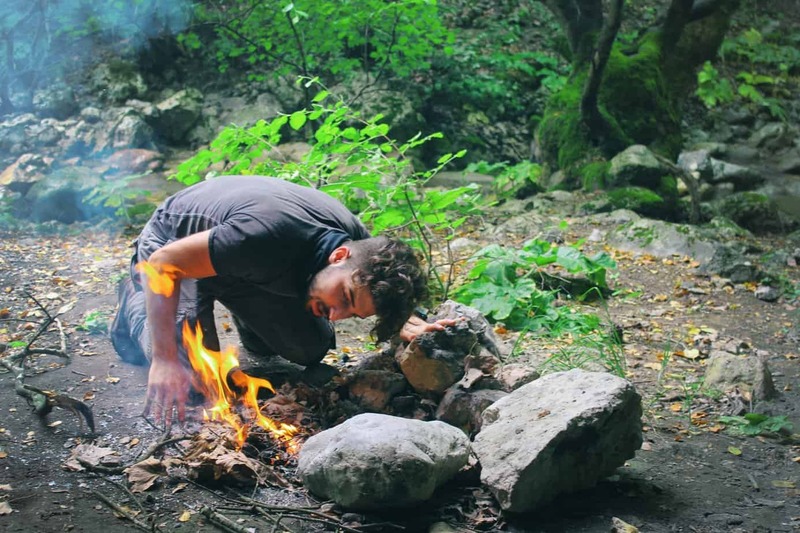 Typically those that spend significant time outdoors have an even deeper appreciation for brands that strive to use recycled materials that are eco-friendly. Patagonia really did a great job with their Nano Puff synthetic insulated jackets in this aspect. The shell and lining of the jacket are 1.4oz of 22D synthetic polyester fabric, with 100% of it coming from recycled sources. The shell also has a DWR finish to keep the rain and moisture at bay. Patagonia has been working with bluesign, a Swiss company that specializes in producing materials that are safe for the environment, workers, and customers, since 2000. The Nano Puff is a bluesign approved jacket which means extra effort was spent in ensuring this insulated jacket was created in a way that conserves resources and has the least impact on the environment during the manufacturing process. One of the most impressive things about the Nano Puff insulated jacket is how lightweight and compact it is compared to how much warmth it offers. Patagonia uses 60Gs of PrimaLoft Gold Eco insulation, which is a synthetic insulation (synthetic jackets) that is as eco-friendly as it is effective. PrimaLoft Gold Eco is made of 55% recycled materials, which is a great addition to the other post-consumer recycled materials used in this insulated jacket. PrimaLoft Gold is extremely thermally efficient and maintains incredible warmth even when wet (approx. 98%). This insulation is water repellent and hand combined with the water resistant shell. There are no temperature ratings on insulated jackets, which is normal, but it seems as though most consider the Nano Puffinsulated jacket to be a good standalone jacket for mild to moderate winter wear. The regular fit of the jacket leaves enough room to easily layer under it and wear the jacket on top. You can also put a parka or heavy shell over the top for really cold excursions. The super warm Nano Puff can easily be folded down and stuff into its own pocket for easy storage when not in use. This is handy for hiking/backpacking trips where the mornings and evenings are cold but the afternoon is too warm for an insulated jacket. Since the breathable and insulated Nano Puff has been around for longer some Patagonia fans believe the ThermoBall was TNFs effort to make their own Nano Puff. There are certainly some similarities but that could be said about any number of popular insulated jackets of this type. Regardless of customer loyalty, it is obvious that the ThermoBall insulated jacket is still an excellent choice. Focuses on protection from cold, wet weather and rain. Right away you’ll notice that two similarities between the Nano Puff and ThermoBall is the insulation and the materials used. The Thermoball insulated jacket uses its own ThermoBall insulation but uses the technology of PrimaLoft. This means this jacket is made with a synthetic fabric option that is particularly good at maintaining warmth even in wet conditions or rain. It is very lightweight, has great loft but excellent compressibility, and is pretty lightweight and breathable. Tests show that the ThermoBall insulation is equivalent to 600 fill goose down in terms of warmth. The shell and lining of the Thermoball is bluesign approved and made of nylon fabric. The advantages of this jacket being bluesign approved are the same as the Nano Puff. However, one difference between the two if that Nano Puff focuses on more than just bluesign approval but actually using recycled materials, which TNF does not do. The Thermoball has is available in an incredible color selection and has more of a variety of colors compared to Nano Puff insulated jacket. It is more of an eye-catching jacket that you can get in a neutral color or something as vibrant as gold or bright lime. There is also an equal number of color choices for both men and women, with some overlap for the basic colors. Overall the Thermoball is a slightly warmer jacket and not too much more expensive than the lower priced Nano Puff insulated jackets. It is comfortable, keeps the cold and moisture at bay and can also be packed away into its own pocket pack because of its compressible design. The average person would be happy with either of these synthetic fabric insulated jackets, but when comparing all aspects of design, warmth, and value the Nano Puff comes out on top. Even though the ThermoBall is a bit warmer, the amount of difference in warmth isn’t very noticeable. The Nano Puff is slightly better at providing wind protection which is important for those that plan on skiing, biking or doing some other fast-paced activity with their jacket. Both jackets have a regular wear fit but the Nano Puff seems to fit better. Many customers have found that the ThermoBall jackets are more on the boxy side, which doesn’t look as attractive and can interfere with layering over top. The color selection of the ThermoBall is better but there are still enough colors to choose from with the Nano puff that you’ll find a shade that makes you happy. Another important factor that gives the Nano Puff insulated jacket the edge is how important the environment is to Patagonia. The company really put in a strong effort to use recycled materials whenever possible which really shows that they care for their customers as well as how the environment is affected during the manufacturing process. All in all, unless you have a specific reason for liking the Thermoball insulated jacket over the Nano Puff Jacket, the latter is a better choice. Bottom Line: I would personally go with the Nano Puff available here because it’s a better fit for most people. While I clearly prefer to wear the Nano Puff here, there are some other options (like the Micro Puff Hoody hooded jacket) worth checking out if either of the above options isn’t a great fit. 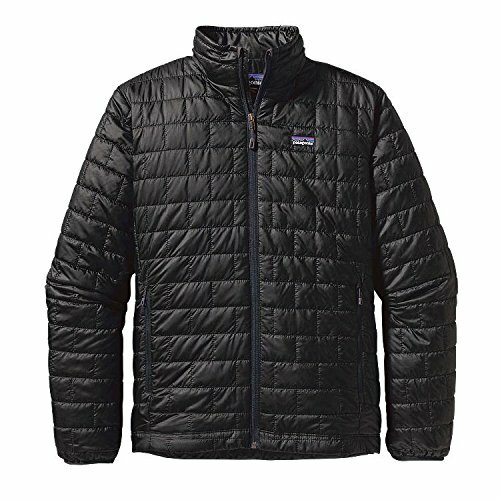 Patagonia Micro Puff Hoody: Very similar to the Nano, extremely lightweight. Arc’teryx Atom LT Jacket: No bevels, if you prefer the smooth appearance. Mountain Hardwear Nitrous Review: Similar style, but with a beveled appearance (something different). 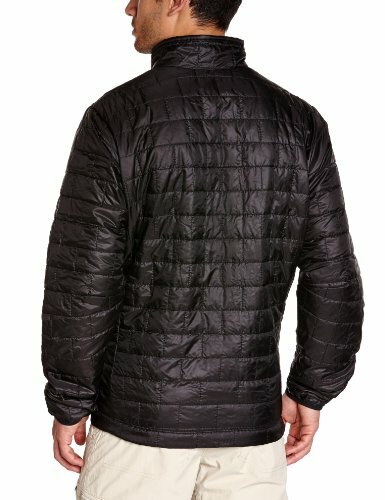 Mountain Hardwear Kevlinator Review: A bit more on the “puffy” side.